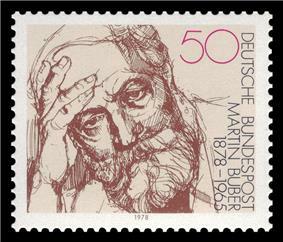 Martin Buber (Ich und Du (later translated into English as I and Thou), and in 1925, he began translating the Hebrew Bible into the German language. 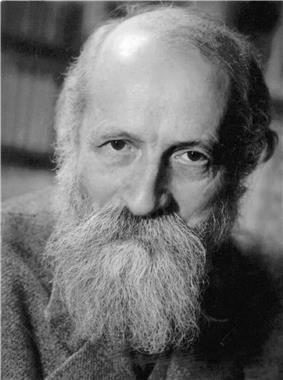 In 1930, Buber became an honorary professor at the University of Frankfurt am Main, but resigned from his professorship in protest immediately after Adolf Hitler came to power in 1933. He then founded the Central Office for Jewish Adult Education, which became an increasingly important body as the German government forbade Jews to attend public education. 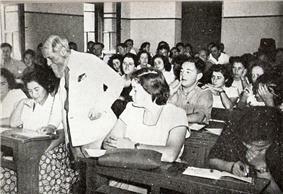 In 1938, Buber left Germany and settled in Jerusalem, Mandate Palestine (later Israel), receiving a professorship at Hebrew University and lecturing in anthropology and introductory sociology. Buber was a direct descendent of the prominent 16th century rabbi Meir Katzenellenbogen, known as the Maharam of Padua, as was his cousin, cosmetics entrepreneur Helena Rubinstein. Karl Marx is another notable relative. In 1898, he joined the Zürich, Buber met his future wife, Paula Winkler, a "brilliant Catholic writer from a Bavarian peasant family"  who later converted to Judaism. Buber's evocative, sometimes poetic, writing style marked the major themes in his work: the retelling of Hasidic tales, Biblical commentary, and metaphysical dialogue. 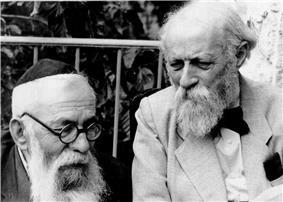 A cultural Zionist, Buber was active in the Jewish and educational communities of Germany and Israel. He was also a staunch supporter of a binational solution in Palestine, and after the establishment of the Jewish state of Israel, of a regional federation of Israel and Arab states. His influence extends across the humanities, particularly in the fields of social psychology, social philosophy, and religious existentialism. In 1902 Buber became the editor of the weekly Die Welt, the central organ of the Zionist movement. However, a year later he became involved with the Jewish Jakob Böhme and Nikolaus Cusanus. 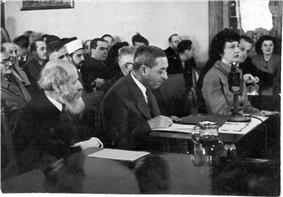 After Israel gained independence in 1948, Buber advocated Israel's participation in a federation of "Near East" states wider than just Palestine. From 1910 to 1914, Buber studied myths and published editions of mythic texts. In 1916 he moved from Berlin to Heppenheim. Despite this debate, Buber’s book is widely known in the English-speaking world as I and Thou, perhaps because the Smith translation appeared years before the Kaufmann one. However, both the Smith and Kaufmann translations are widely available. 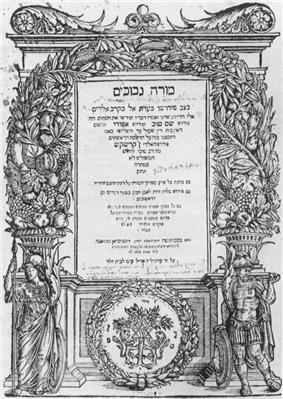 Buber's interpretation of the Hasidic tradition, however, has been criticized by scholars such as Chaim Potok for its romanticization. In the introduction to Buber's Tales of the Hasidim, Potok notes that Buber overlooked Hasidism's "charlatanism, obscurantism, internecine quarrels, its heavy freight of folk superstition and pietistic excesses, its tzadik worship, its vulgarized and attenuated reading of Lurianic Kabbalah." Even more severe is the criticism that Buber deemphasized the importance of the Jewish Law in Hasidism. ^ Buber 1996, p. 92. ^ Buber 1996, p. 34. ^ Chiang, Lydia Sing-Chen. Collecting The Self: Body And Identity In Strange Tale Collections Of Late Imperial China (Volume 67 of Sinica Leidensia). BRILL, 2005. ISBN 9004142037, 9789004142039. p. 62.